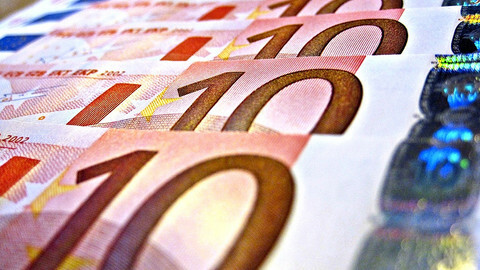 The European Commission on Wednesday (2 May) went ahead with controversial plans to link distribution of EU funds in member states to respect for rule of law issues. The EU executive - under its proposals for the next seven-year EU budget - wants to introduce a new mechanism to discipline countries where the judiciary has been put under political pressure. The executive, led by Luxembourg politician Jean-Claude Juncker, wants to be able to "suspend, reduce or restrict access to EU funding" in a proportionate manner to protect EU investments and European taxpayers' money. "Only an independent judiciary that upholds the rule of law and legal certainty in all member states can ultimately guarantee that money from the EU budget is sufficiently protected," the commission said. According to the proposal the procedure could be invoked by the commission when authorities managing EU money, "proper functioning of investigation and public prosecution of fraud or corruption relating to the budget" and judicial review are in danger in an EU country. The move is seen as a way to sanction EU members, notably Poland and Hungary, two countries which the EU has investigated in recent years for curbing the judiciary's independence. Poland is under the commission's Article 7 probe, with negotiations still ongoing between Brussels and Warsaw on how to come to a political and legal compromise. However, commission president Jean-Claude Juncker on Wednesday insisted that the proposed measure is not against any member state. "It's not a Polish question, it is a general question," he told reporters. "We do not perceive today's proposals as confrontational towards Poland," the Polish EU affairs minister Konrad Szymanski also said after the commission unveiled its proposal. He added that "the principle of transparency [in spending and allocation of funds] is close to our hearts [and that] there is no controversy here; even more so, given that the controversy around article 7 and Polish judicial reforms might be solved soon." 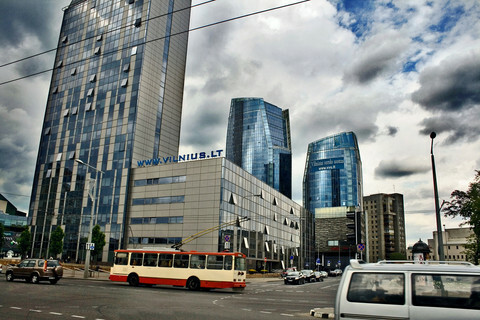 The Polish minister however expressed concern, noting that "every legal provision needs to be clearly defined, there can be no space for arbitrariness." Hungary's government spokesman Zoltan Kovacs was more assertive, referring to the rule of law conditionality in tweet: "There are EU Treaties in force, and we work on the basis of these. No other assumptions exist in a legal sense." On the other hand, liberal MEP Guy Verhofstadt, a fierce critic of Hungary's prime minister Viktor Orban, welcomed the commission's proposal. "If a government of a member state of the EU doesn't want to apply and respect European values, it doesn't need European money," he told fellow MEPs. "European money should be used lift up national economies, to lift up citizens and not to be granted to the family of Orban or to finance one of other football in his constituency," he added. According to the proposal, the commission wants to remain in control of the decision. 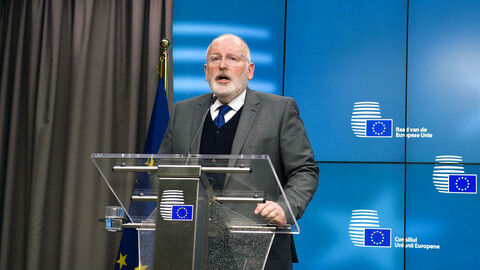 Other rule of law probes, such as the Article 7 procedure, requires the council, the collection of member states to agree to sanctions, before the EU country breaking EU rules could be punished. EU member states have proven to be reluctant to sanction one another, undermining any effort by the commission to rein in countries challenging EU values. Under the new plans, the commission could trigger the procedure after which the EU country concerned would have one month to explain itself. The commission then decides on whether to suspend funds, with only the majority of EU member states able to overturn the decision. 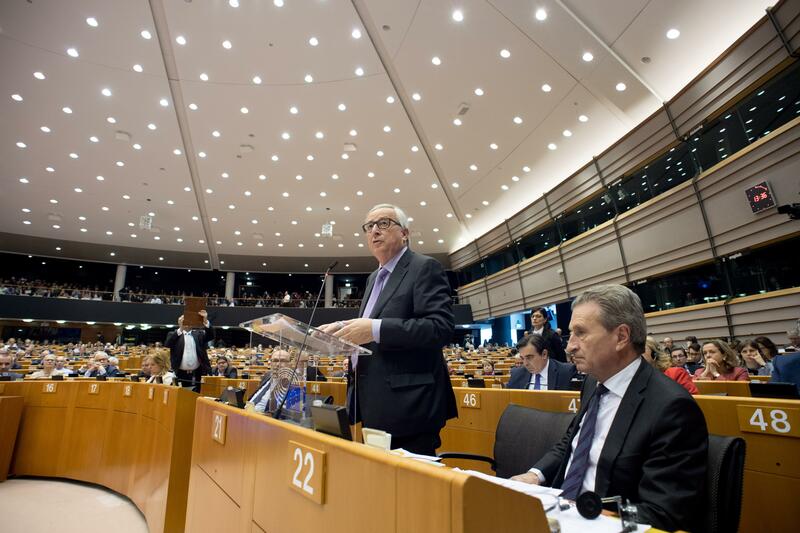 That broad commission power could upset member states, making a deal difficult. 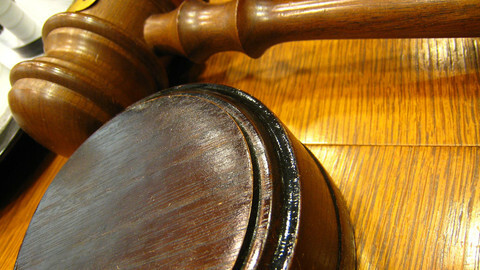 The measures would stay until the commission decides the deficiencies in the judiciary no longer exist. 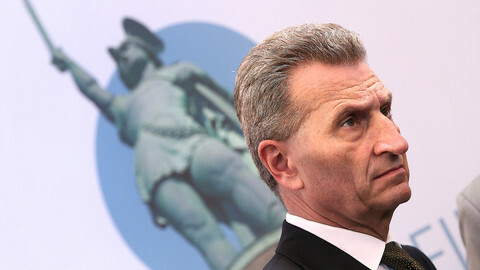 "It is in the interests of European taxpayers … to ensure that those judiciaries control how those funds are spent," budget commissioner Guenther Oettinger said on Wednesday. The EU budget requires the unanimous decision of member states, including those which might feel targeted by the new measures. The commission has so far been mute on how it wants to convince member states that have challenged EU rules on the judiciary to agree to the new procedure. 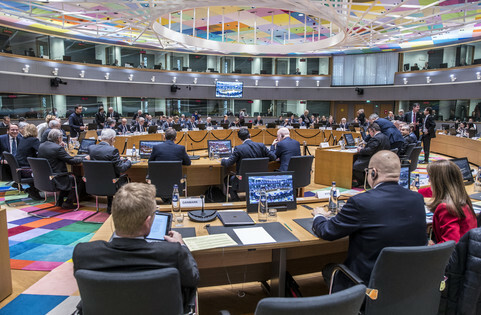 One commission official said an agreement on the rule of law conditionality could boost spending from net payers if they felt their money was more secure and that a larger EU budget was in the interest of eastern European countries. EU leaders will discuss possibly linking EU funds to respect of the rule of law – central and eastern European states worry it might be used to target them for their policies. EU member states welcomed the dialogue between Poland and the EU Commission on rule of law, but insist that more progress is needed to bring Warsaw's judicial overhaul in line with EU values. Member states urged Poland to respond in detail to the EU Commission's concerns over its judicial reforms - or face sanctions. Defining what constitutes 'rule of law' violations may be more difficult than the EU Commission proposes, as it tries to link cohesion funds in east Europe to judicial independence. A key question will be who is to 'judge' those judges?